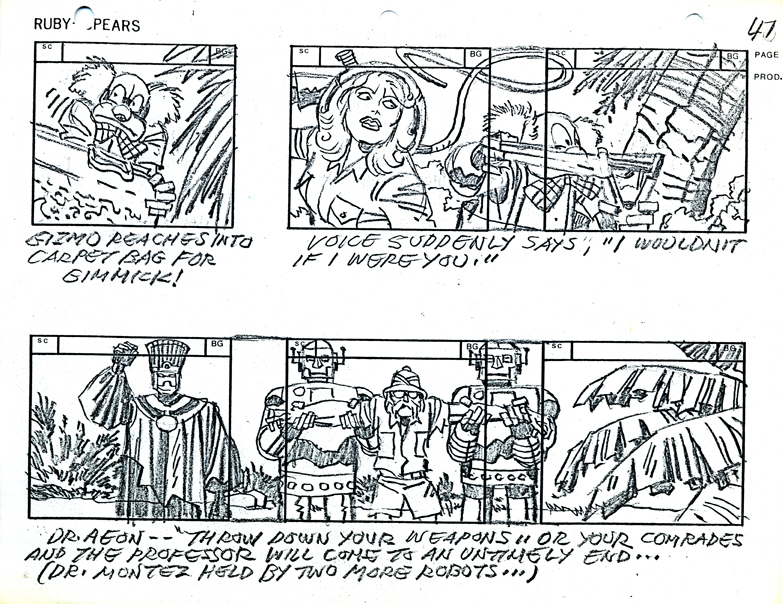 The last sentence of yesterday’s post puts me in mind of something that I hadn’t questioned until writing that sentence: That John Dorman, head director of the Ruby-Spears Action-Adventure Storyboard Department, was also in charge of the Presentation Art Department (or whatever it was called. It was the department in charge of working up ideas for new series to pitch to the networks.) Is this actually true though? 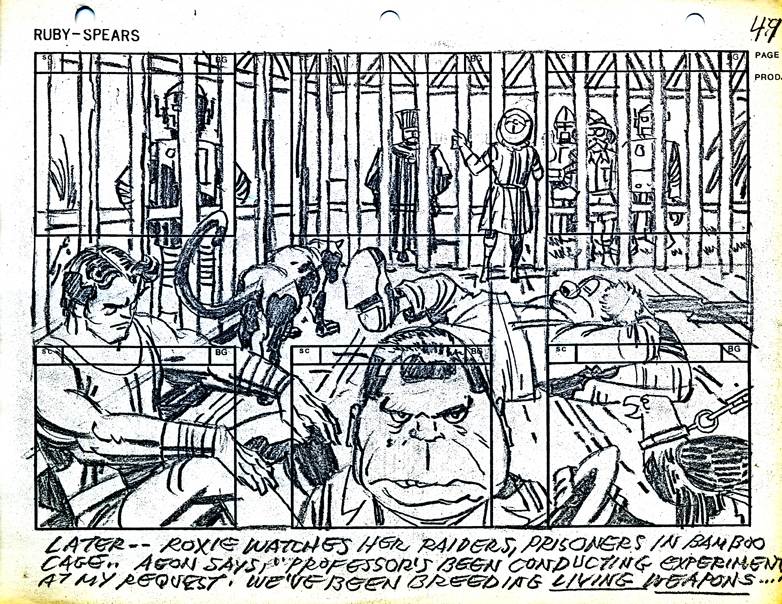 Was John Dorman the decider-in-chief who got to commission his favorite comic book artists to come up with ideas for series? I assume he had to answer to Joe Ruby and Ken Spears. To quote Wikipedia: “Ruby-Spears Productions (also know as Ruby-Spears Enterprises was a Burbank, California based entertainment production company that specialized in animation. The firm was founded in 1977 by veteran writers Joe Ruby and Ken Spears. Both Ruby and Spears started out as sound editors at Hanna-Barbera, and later branched out into writing stories for such programs as Space Ghost and The Herculoids. In 1968, they were assigned the task of developing a mystery-based cartoon series for Saturday morning, the result of which was Scooby-Doo, Where Are You!. They were also writers and producers for DePatie-Freleng Enterprises, particularly for The Pink Panther and Sons. The firm's credits include the animated series Fangface, Fangface and Fangpuss, The Plastic Man Comedy/Adventure Show, Thundarr the Barbarian, Rubik the Amazing Cube, the 1983 version of Alvin and the Chipmunks series, The Centurions, the 1988 Superman series and the American Mega Man cartoon series. Only one series, Piggsburg Pigs!, used Canadian voice talent rather than American one like most of their other cartoon shows. Ruby-Spears was also responsible for the animated sequence in the 1988 film Child's Play. This obituary of John Dorman is quoted from Animation Magazine , February 1, 2011. 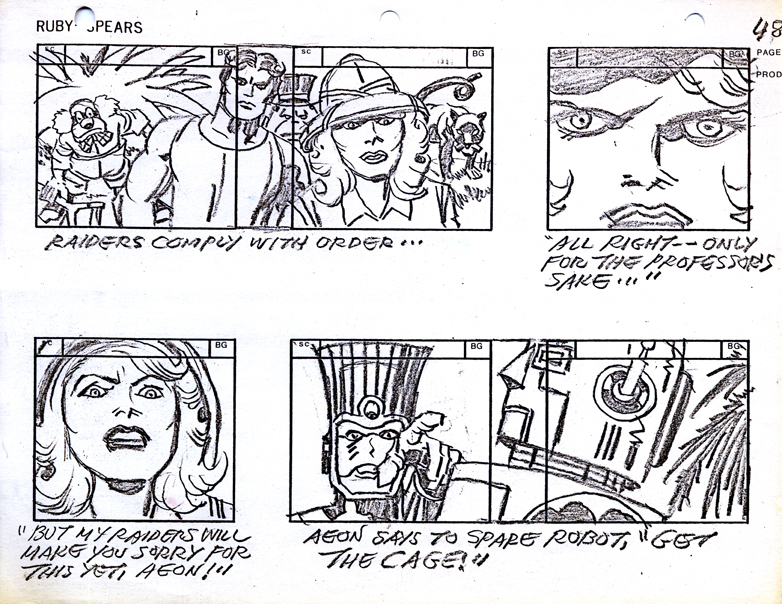 “Veteran storyboard artist John Dorman died Saturday at the age of 58, according to a post on The Animation Guild blog. The cause of death has not been revealed. Dorman began his career in 1974 as an assistant animator on The Nine Lives of Fritz the Cat. 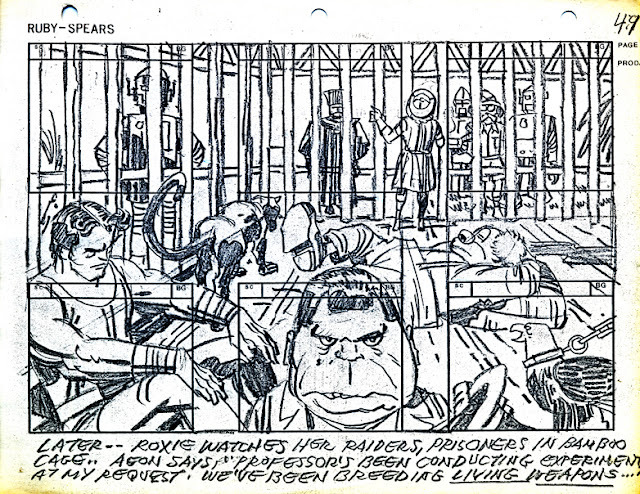 Within a few years, he was working regularly as a layout artist on animated TV series such as Tarzan, Fantastic Four and Plastic Man and a segment in the animated feature Heavy Metal. In the 1980s, he worked as a story director on such series as Thundarr the Barbarian, Goldie Gold and Action Jack, Rubik the Amazing Cube, Mister T and Foofur. 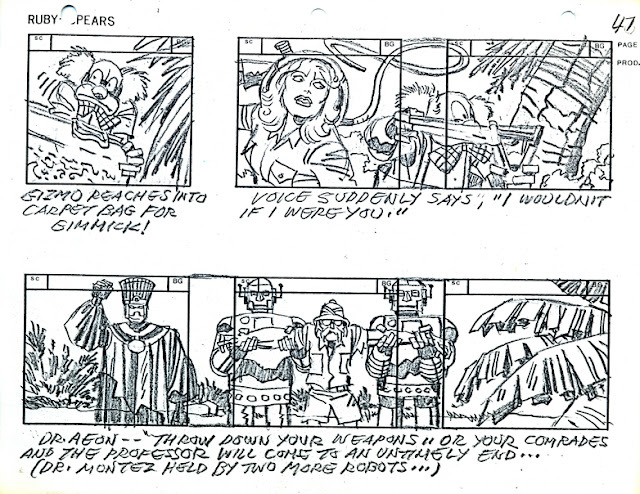 Dorman’s credits as a storyboard artist include The New Adventures of Batman, Smurfs, Tiny Toon Adventures, The Ripping Friends and the 2005 animated feature Valiant. 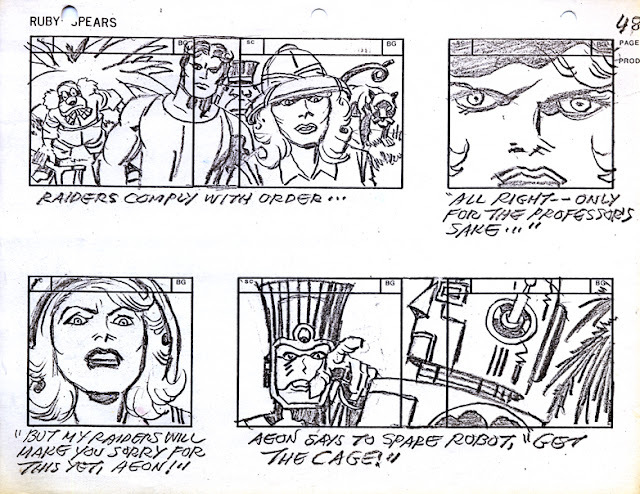 He also designed characters for several projects, including an animated Police Academy series. Wow. John was only 2 years older at the time of his death than I am now.